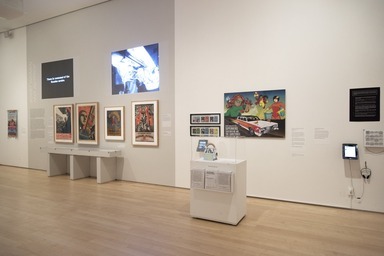 At key moments in history, artists have reached beyond galleries and museums, using their work as a call to action to create political and social change. 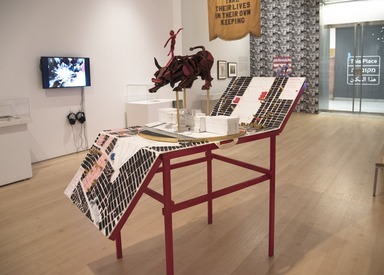 For the past hundred years, the term agitprop—a combination of the words agitation and propaganda that originated during the Russian Revolution—has directly reflected the intent of such activist art practices. Over the last century, artists across the ideological and global landscape have focused on mediums that can be widely reproduced and disseminated—photography and film, prints and banners, street actions and songs, and now digital videos and social media platforms—to motivate diverse publics. 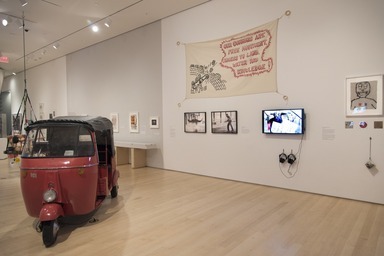 Reflecting the spirit and range of these activities, this exhibition uniquely connects contemporary and historic moments in creative activism within a dynamic framework. 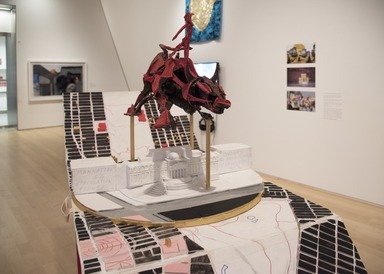 Emerging from a collaborative, experimental process, the exhibition is designed to expand over the course of its run and opens with a first wave of projects selected by the Sackler Center staff. 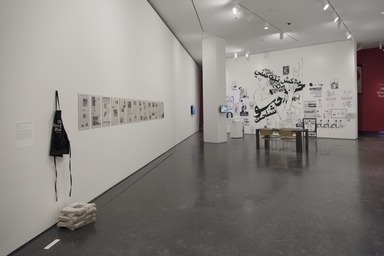 This first round, featuring the work of twenty contemporary artists known for their politically motivated practices, is presented alongside five historical case studies in agitprop that provide a deeper context for the present-day examples. 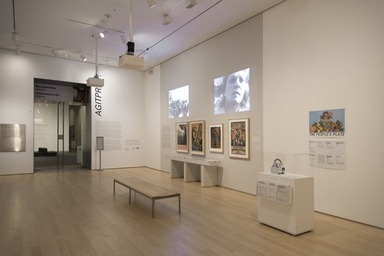 These historical moments from the early twentieth century showcase women as subjects and makers of Soviet propaganda, the cultural campaigns for women’s suffrage and against lynching in America, Tina Modotti’s socialist photographs from Mexico, and the government-sponsored Living Newspaper productions of the Federal Theatre Project. The contemporary artists from this first presentation each nominated one additional participant to contribute work for a second wave beginning February 17. A third, culminating wave of artists, invited by those in the second wave, is being added on April 6. 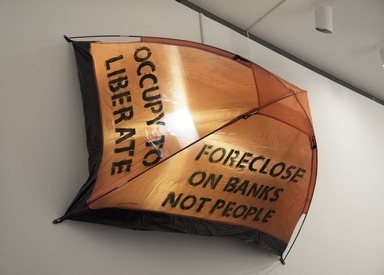 In this way, the final installation will reflect multiple political and artistic positions, determined by the artists rather than by the institution, while exploring how networks of artists, collectives, and activists sustain and amplify these activities. 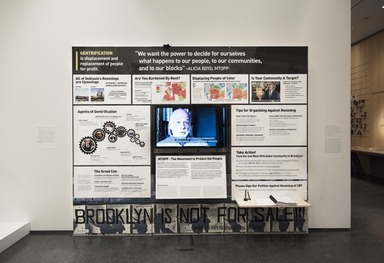 Collectively, these contemporary projects address various struggles for social justice since the second half of the twentieth century, from antiwar demonstrations, AIDS activism, and environmental advocacy to multipronged demands for human rights and protests against mass incarceration and economic inequality. 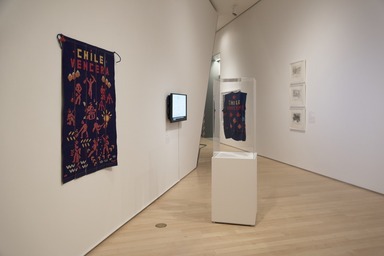 In the installation, links between historical and contemporary work emerge, highlighting the intergenerational strategies, ongoing developments, and long-term impact of creative practices on social conditions around the world over the past century. Agitprop! 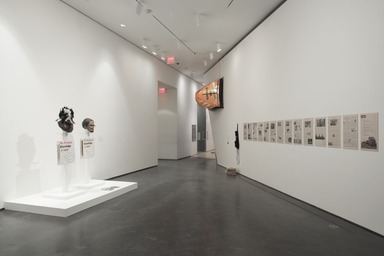 is organized by the staff of the Elizabeth A. Sackler Center for Feminist Art: Saisha Grayson, Assistant Curator; Catherine Morris, Sackler Family Curator; Stephanie Weissberg, Curatorial Assistant; and Jess Wilcox, Programs Manager. 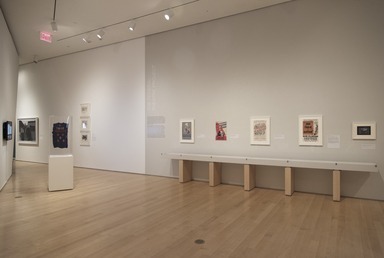 This exhibition is made possible in part by the Embrey Family Foundation, the Robert Rauschenberg Foundation, The Andy Warhol Foundation for the Visual Arts, the FUNd, and the Helene Zucker Seeman Memorial Exhibition Fund. Many of the hallmarks of modern propaganda were born out of the Russian Revolution of 1917, in which the imperial Romanov dynasty was overthrown. The Bolsheviks (who later became the Communist Party of the Soviet Union) seized authority shortly after the revolution, calling for the transfer of power to the working class, or proletariat. To disseminate their agenda to a largely rural and illiterate nation, the Bolsheviks established a unified visual vocabulary, which they circulated widely through a range of mediums including posters, film, monuments, and theater. Women played a critical role in defining and broadcasting the Communist cause. While gender equality in labor, education, and suffrage were framed as fundamental to the Bolshevik platform, the lived reality was much more complex. During the early years of Soviet society, increased access to education and resources allowed an unprecedented number of avant-garde female artists to produce art under the banner of Constructivism, a movement that emphasized formal abstraction and design. Yet, despite their elevated station as artists, women were seldom depicted as primary subjects in Soviet political art of the time. As the Communist Party became increasingly conservative in the 1930s, women were encouraged to direct their efforts away from more prestigious mediums such as oil painting and sculpture, and focus on state-sponsored poster design. These shifts prompted female artists to synthesize their abstract Constructivist training with more widely legible realist figuration, producing a new iconography of the heroic woman worker and comrade that defied traditional notions of femininity. Tina Modotti (Italian, 1896–1942) moved to Mexico in 1923 as the apprentice, studio assistant, and romantic companion of the well-known American photographer Edward Weston. Yet, while he treated the country as an artistic subject and left after two extended visits, Modotti became deeply involved with the political and artistic communities of her adopted country. Her commitment to the Mexican people and the socialist ideals of the Communist Party greatly influenced her photography—both in her subject matter and in the distribution of the work. 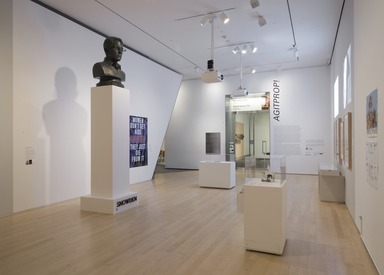 Whereas her earlier modernist still lifes were primarily targeted to art audiences and collectors, the photographs she took from 1926 to 1930 of poverty, workers reading and marching, and revolutionary symbols and leaders had an important life as widely reproducible images. Her pictures circulated the globe through international socialist publications and El Machete, the official Communist paper in Mexico City, for which Modotti was a contributing editor, translator, and photographer. 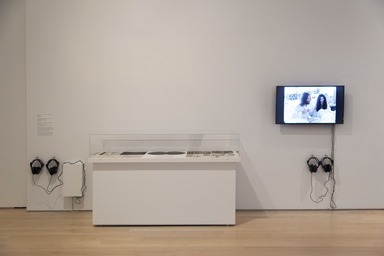 The broad appeal and legibility of Modotti’s recurring photographic themes were conducive to building international solidarity among dispersed activists fighting economic and colonial exploitation. From the start of the twentieth century until the passage of the Nineteenth Amendment in 1920, women from across the United States organized a strategic crusade to attain the right to vote. Suffragists embarked on a cross-country campaign, circulating their message through wheat-pasted posters, colorful banners decorating their vehicles, and publications. The ideological battle over suffrage was fought, on both sides, primarily through depictions of women in news photographs, cartoons, posters, postcards, and other memorabilia. Opposition groups that aimed to confine women’s influence to the domestic realm disseminated images of suffragists as childish, impatient, and overbearing. Suffragists portrayed themselves as dignified, elegant, and intelligent women, often engaging in cooperative and caretaking activities, or as embodiments of classical virtues, draped in Grecian garments. It is now believed that as many as four thousand African Americans were lynched in the United States between 1877 and 1950. When the NAACP was founded in 1909, one of its immediate goals was to end the terrorism of these unprosecuted mob-driven murders. To create sympathy across racial lines, NAACP leaders made a cultural campaign for hearts and minds an important part of their strategy. In 1910 W. E. B. Du Bois founded the organization’s journal, The Crisis, which detailed the lynching epidemic and published photographs, political cartoons, and poems that emphasized the humanity of the victims and the failure of American and Christian ideals to inhibit such atrocities. Leading nationwide protests against the stereotyping of blacks in mainstream culture, the NAACP also encouraged black playwrights and filmmakers to offer counternarratives, and organized an art exhibition on the topic. Alongside the NAACP’s focus on high art, popular works such as “Strange Fruit,” a song made famous by the singer Billie Holiday, helped to shift the national consciousness and make lynching rare by the 1950s. The Federal Theatre Project, a branch of President Franklin D. Roosevelt’s Works Progress Administration, employed thousands during the Great Depression and provided entertainment across the country. Its Living Newspaper productions depicted current events and matters concerning public policy, evolving from the Soviet tactic used during the Bolshevik Revolution as a means to reach illiterate populations. In both cases, the goal was to use theater to prompt social and political action. Eschewing traditional theatrical narrative structures, the Living Newspapers staged vignettes from the perspectives of different characters. The productions combined diverse media such as slide projections of statistics and photographic images, voiceovers from loudspeakers, choruses, and tableau choreography in order to unsettle and incite emotion in the audience. From 1935 to 1939, these productions took on the contentious issues of the day, such as agrarian reform (Triple-A Plowed Under), the control of public utilities (Power), housing conditions (One-Third of a Nation), and disease prevention (Spirochete). 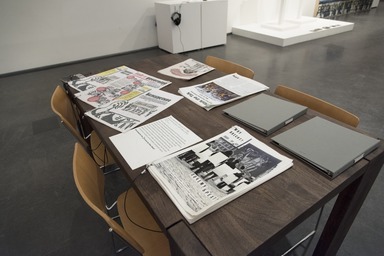 The Living Newspaper productions can be considered a precedent for the agitational performances and research-intensive pedagogical practices of contemporary artists. At key moments in history, artists have reached beyond galleries and museums, using their work as a call to action to create political and social change. Opening December 11, 2015, the Brooklyn Museum’s exhibition Agitprop! 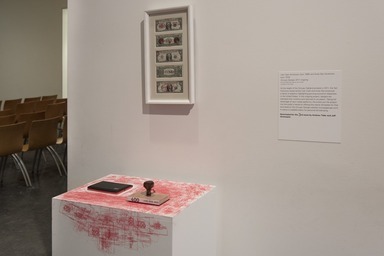 explores the legacy and continued power of politically engaged art through more than fifty contemporary projects and artworks from five historical moments of political urgency. Agitprop! will be on view from December 11, 2015, through August 7, 2016, in the Elizabeth A. Sackler Center for Feminist Art at the Brooklyn Museum. The term agitprop emerged from the Russian Revolution almost a hundred years ago, combining the words agitation and propaganda to describe art practices intended to incite social change. Since that time, artists across the ideological and global landscape have adopted modes of expression that can be widely reproduced and disseminated. Agitprop! will feature a full range of these materials, from photography and film to prints and banners to street actions and songs, TV shows, social media, and performances. 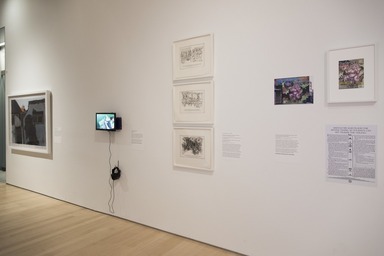 Connecting current creative practices with strategies from the early twentieth century, these projects show artists responding to the pressing questions of their day and seeking to motivate broad, diverse audiences. 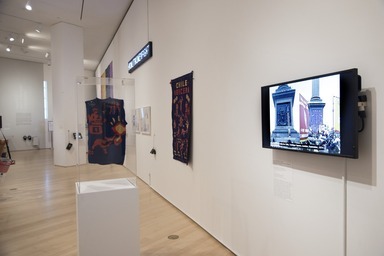 In keeping with the collaborative spirit of agitprop, contemporary artists participated in the selection of the exhibition’s content, thereby opening up the process to reflect multiple perspectives and positions. Unfolding in three waves, Agitprop! kicks off on December 11 with five case studies in early agitprop and twenty contemporary art projects selected by the Sackler Center staff. The first round of participants will each invite an artist or collective, whose work will be added to the installation beginning February 17; that second group will invite a final round of artists, whose work will be incorporated on April 6. 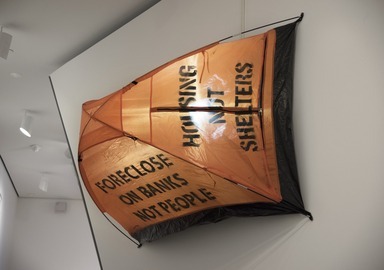 In total, more than fifty contemporary fusions of art and political action, involving hundreds of contributors, will be exhibited. 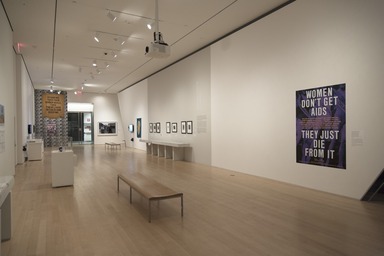 On view throughout the length of the exhibition, the historical examples explore the various ways that political aspirations took creative form in the early twentieth century, from women as subjects and makers of Soviet propaganda to the cultural campaigns for women’s suffrage and against lynching in America, and from individual practices such as Tina Modotti’s socialist photographs in Mexico to the government-sponsored Living Newspaper productions of the Federal Theatre Project. 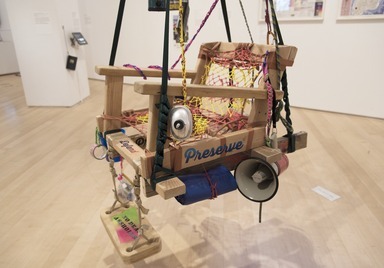 The contemporary projects address urgent struggles for social justice since the second half of the twentieth century, including antiwar demonstrations, AIDS activism, environmental advocacy, multipronged demands for human rights, and protests against mass incarceration and economic inequality. 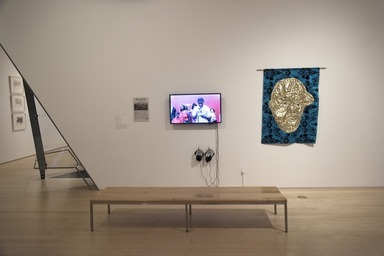 With past and present examples installed together, links between historical and contemporary work emerge, highlighting the intergenerational strategies, ongoing development, and long-term impact of politically engaged art over the past century. 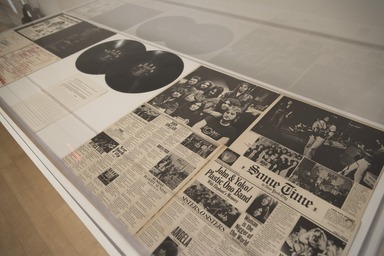 "This exhibition continues the Brooklyn Museum’s commitment to providing a platform for public dialogue around political and artistic issues and for placing contemporary work in the context of a vast collection that encourages audiences to make connections between the past and the present," said Anne Pasternak, Shelby White and Leon Levy Director of the Brooklyn Museum. "With a tradition of building inclusive relationships with communities that are simultaneously local and global, we are uniquely positioned to support the wide-ranging conversations that this exhibition and the included artists will inspire." The first round of invited artists includes Luis Camnitzer (U.S./Argentina), Zhang Dali (China), Chto Delat? (Russia), Dread Scott (U.S.), Dyke Action Machine! (U.S.), Friends of William Blake (U.S.), Coco Fusco (U.S.), Futurefarmers (U.S.), Ganzeer (Egypt/U.S. 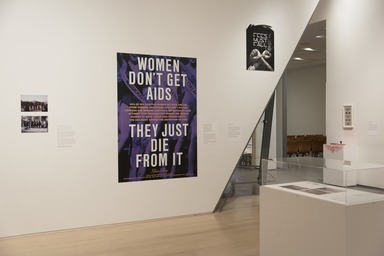 ), Gran Fury (U.S.), Guerrilla Girls (U.S.), Jenny Holzer (U.S.), Los Angeles Poverty Department (U.S.), Otabenga Jones & Associates (U.S.), Yoko Ono (Japan/U.S. 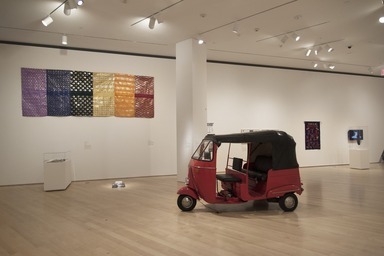 ), Sahmat Collective (India), Martha Rosler (U.S.), Adejoke Tugbiyele (Nigeria/U.S. ), Artists for Democracy/Cecilia Vicuña (Chile) and John Dugger (U.S.), and, in a collaborative work, The Yes Men (U.S.) with Steve Lambert (U.S.), CODEPINK (U.S.), May First/People Link (U.S.), Evil Twin (U.S.), Improv Everywhere (U.S.), Not An Alternative (U.S.), along with more than thirty writers, fifty advisers, and a thousand volunteer distributors (U.S.). Agitprop! will be accompanied by extensive programming and performances, allowing artists and thinkers to respond to current events throughout the run of the exhibition. The collaborative spirit of agitprop continues on February 17, 2016, with the addition to the Agitprop! exhibition of thirty-nine works by twenty contemporary artists or collectives, nominated by participants in the exhibition’s first round. 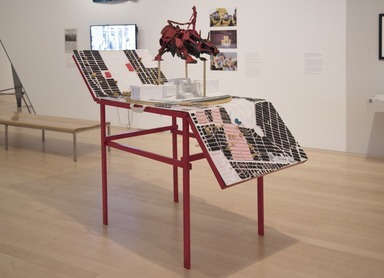 Presented by the Brooklyn Museum’s Elizabeth A. Sackler Center for Feminist Art, Agitprop! explores the legacy and continued power of politically engaged art. 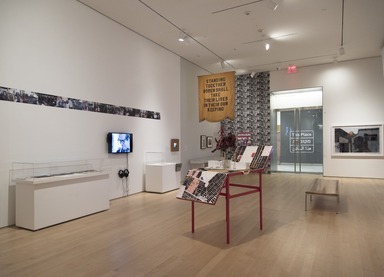 This dynamic and thought-provoking installation, on view through August 7, 2016, features a full range of material, including photography and film, prints and banners, street actions and songs, and TV shows, social media, and performances. Jeff Greenspan (American, born 1970) and Andrew Tider (American, born 1979). Prison Ship Martyrs’ Monument 2.0, 2015. Galvanized steel, Hydrocal FGR 95, latex, enamel, oil paint, powdered gold, 48 x 24 x 34 in. (121.9 x 61 x 86.4 cm); base circumference 24 in. (61 cm). Fabricated by Doyle Trankina. 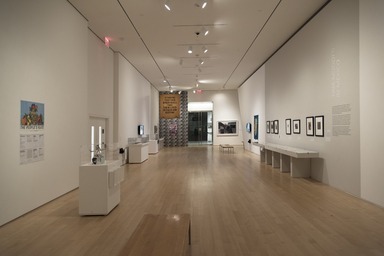 Collection of the artists, New York. (Photo: Aymann Ismail) Second wave artists include Amnesty International and El Zeft (Egypt; Nominated by Ganzeer), Andrew Tider and Jeff Greenspan (U.S.; Nominated by Gran Fury), David Brower and Jerry Mander (U.S.; Nominated by Futurefarmers), Huang Rui (China. ; Nominated by Zhang Dali), Inder Salim (Kashmir; Nominated by Sahmat Collective), Interference Archive (U.S.; Nominated by Friends of William Blake), Jelili Atiku (Nigeria; Nominated by Adejoke Tugbiyele), Jenny Polak (U.K./U.S. ; Nominated by Dread Scott), L.J. Roberts (U.S.; Nominated by Dyke Action Machine), Lady Pink (Ecuador/U.S. ; Nominated by Jenny Holzer), Laurie Jo Reynolds (U.S.; Nominated by Coco Fusco), Manuela Ribadeneira (Ecuador/U.K. ; Nominated by Luis Camnitzer), Marina Naprushkina (Belarus; Nominated by Chto Delat? ), Nancy Buchanan (U.S.; Nominated by Martha Rosler), Not An Alternative (U.S.; Nominated by The Yes Men), Occupy Museums (U.S.; Nominated by Guerrilla Girls), Shani Peters (U.S.; Nominated by Otabenga Jones & Associates), Thenmozhi Soundarajan (U.S.; Nominated by Cecilia Vicuña), Ultra-red (U.S.; Nominated by Los Angeles Poverty Department). The term agitprop emerged from the Russian Revolution almost a hundred years ago, combining the words agitation and propaganda to describe art practices intended to incite social change. 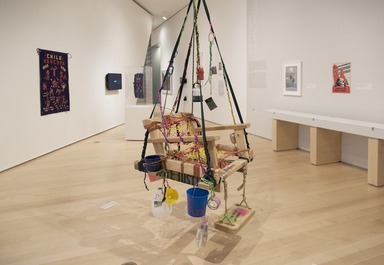 Connecting current creative practices with strategies from the early twentieth century, these projects show artists responding to the pressing questions of their day and seeking to motivate broad, diverse audiences. 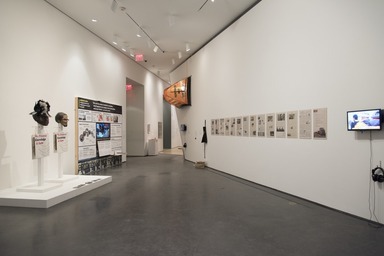 Agitprop!’s unique curatorial method invites contemporary artists to select the exhibition’s content, thereby opening up the process to reflect multiple perspectives and positions. Unfolding in three waves, Agitprop! 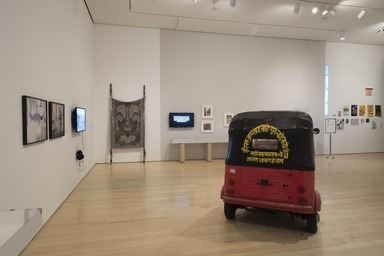 kicked off on December 11 with five case studies in early agitprop and twenty contemporary art projects selected by the Sackler Center staff. The second wave opens on February 17 with selections by the first round of contemporary participants; this second group will invite a final round of artists, whose work will be incorporated on April 6. 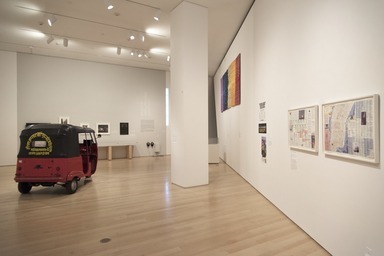 In total, more than fifty contemporary fusions of art and political action, involving hundreds of contributors, will be exhibited. Agitprop! 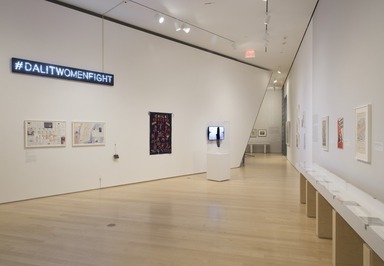 is organized by the staff of the Elizabeth A. Sackler Center for Feminist Art: Saisha Grayson, Assistant Curator; Catherine Morris, Sackler Family Curator; Stephanie Weissberg, Curatorial Assistant; and Jess Wilcox, former Programs Manager. The fully realized Agitprop! exhibition opens on April 6 with the addition of fifteen contemporary artists and collectives, nominated by the exhibition’s second round of participants. 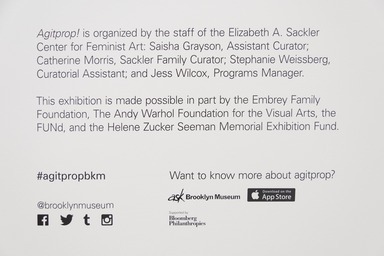 Presented by the Brooklyn Museum’s Elizabeth A. Sackler Center for Feminist Art, the third and final installation of Agitprop! 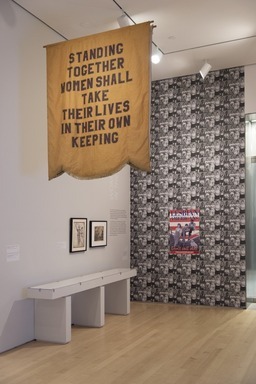 solidifies the exhibition’s mission to explore the legacy and continued power of politically engaged art. 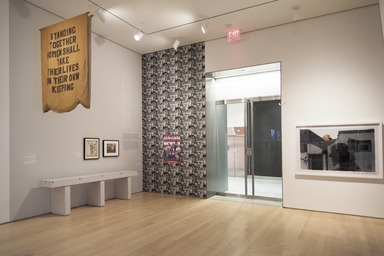 The show will be on view through August 7 with a dynamic and thought-provoking installation featuring a full range of material, including photography and film, prints and banners, street actions and songs, and TV shows, social media, and performances. Agitprop! is evolving in three waves: the final round of artists was selected by the second round of participants, who were selected by the first round. 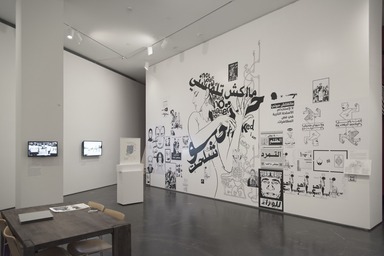 The exhibition opened on December 11 with five case studies in early agitprop and twenty contemporary art projects selected by the Sackler Center staff. 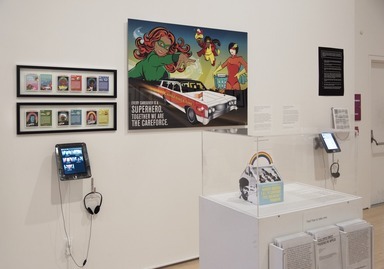 In total, more than fifty contemporary fusions of art and political action, involving hundreds of contributors, are exhibited. Agitprop! 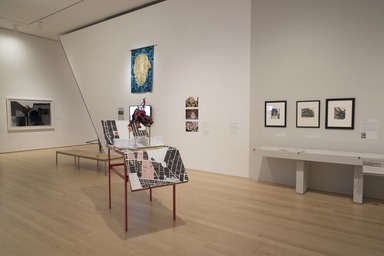 is organized by the staff of the Elizabeth A. Sackler Center for Feminist Art: Saisha Grayson, Assistant Curator; Catherine Morris, Sackler Family Curator; and Stephanie Weissberg, Curatorial Assistant; and with Jess Wilcox, former Programs Manager.